We all complain about the dry winter air and the chapped lips that come with it, but what about those cold gusts of wind that make rattle your windows? Not only are they bone-chilling in the deep of winter, but they also make certainly beauty looks impossible—namely, a glossy lip. One of my biggest pet peeves is taking having hair stuck to my lips, which makes for icky lips and icky hair—and I haven’t even made it to the office yet! 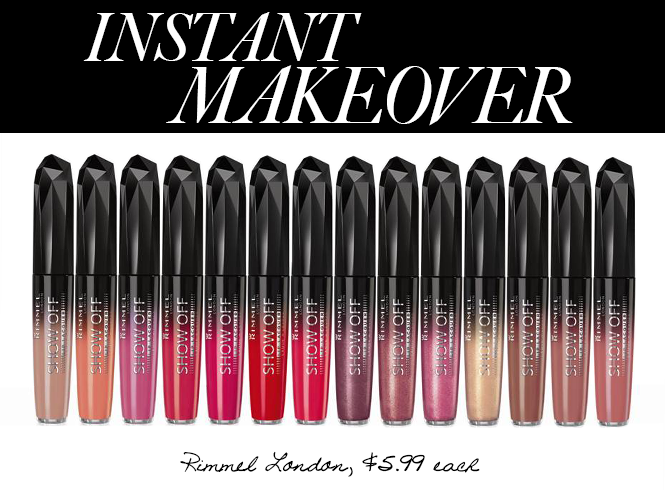 That’s why I decided to swap out my sticky glosses for Rimmel London’s Show Off Lip Lacquer ($5.99, us.rimmellondon.com), which is the best non-sticky lip gloss I’ve found. A lipstick-lip gloss hybrid, this lacquer goes on easily like a gloss and provides intense color, but in a lightweight formula. And the best part — it’s not sticky. Within seconds of applying, this non-sticky lip gloss has that high-shine finish but with more of a lipstick texture. In a nut shell, it dries, but it doesn’t dry out your lips.